For years, we've reported on Houston County's soaring population. In many ways, it's been a blessing to those who live there. Along with new people pouring into the area, the population surge has brought restaurants, jobs, and shopping. But what happens when law enforcement suddenly has thousands more people to protect? Sometimes, it's a battle to keep up. On July 6th, 2018, Warner Robins Barberitos bartender Jordan Wilson called 911. She told the dispatcher who picked up "there is some drunk person on the patio" and she wanted them removed. It wasn't her first call to 911 from work, though. That one happened half a year earlier, on the night of January 21st. "I was just in shock and crying and told them there was a homicide," she said. Wilson said she called police when someone gunned down her coworker, Parker Moore. "Most people don't ever have to go through that," she said. "I don't wish that on anyone." So months later in July when someone made a disturbance at the same Barberitos, she was on edge. In a 911 call recording, Wilson said the woman in July was "pushing people around, screaming inside the restaurant cussing and trying to fight people outside." She said she didn't feel like she was in immediate danger, but the events of that night in January were never far from her mind. "Oh, yeah, it's always in the back of my head," she said. "I'm always paranoid." But on that night in July, documents show it took the Houston County 911 Center nearly half an hour to dispatch a cruiser. At one point, they called the restaurant back and said they'd been stretched thin. "We've just been really busy," a 911 operator said. 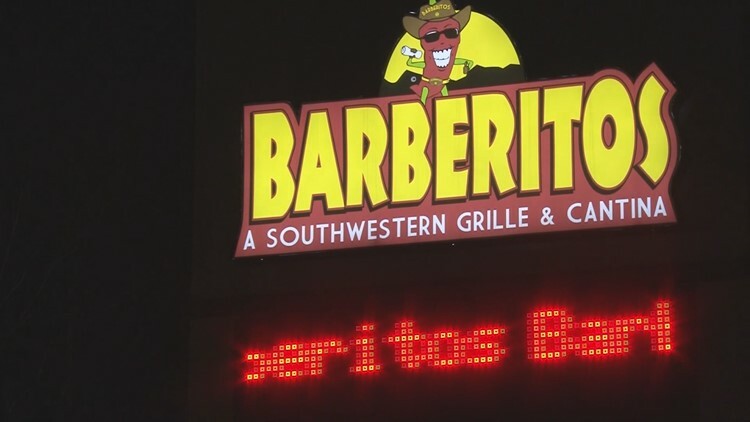 By then, Barberitos employees said the woman making trouble had left, so they told dispatch not to bother sending anyone. Records from the 911 center show the call was then cleared. But what happened at Barberitos that night might not be an isolated case in Houston County. 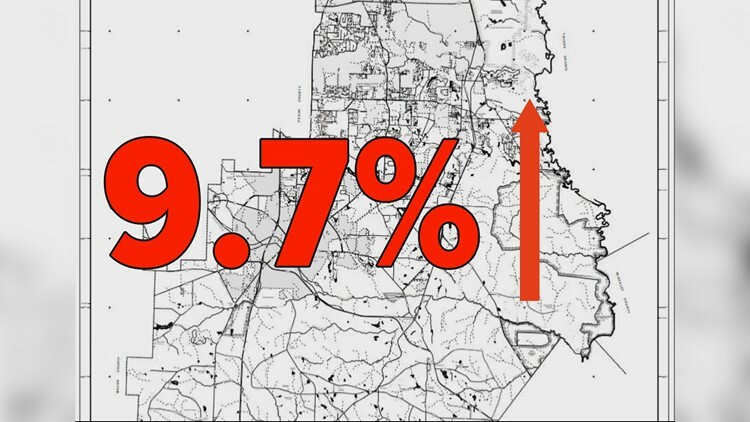 Census data shows that between 2010 and 2017, the county's population jumped nearly 10 percent, from 139,909 people in 2010 to 153,479 in 2017. With more people to protect, 911 center call logs show the number of calls over that time period skyrocketed. Documents obtained in an open records request show that in 2010, the Houston County 911 Center got 170,949 calls. By 2017, that number had risen to 216,221, a more than 25 percent increase. Law enforcement in the county say they're feeling the effects. "We're certainly busier," said Centerville Police Department Chief Chuck Hadden. "The whole world's changing around us and we're trying our best to keep up." For urgent crimes like robberies, home invasions, and shots fired, average response times for Hadden's department have trended slightly upward between 2010 and 2017. But Hadden says his department prioritizes those calls and our research shows that their average response times did not change all that much over the time period. 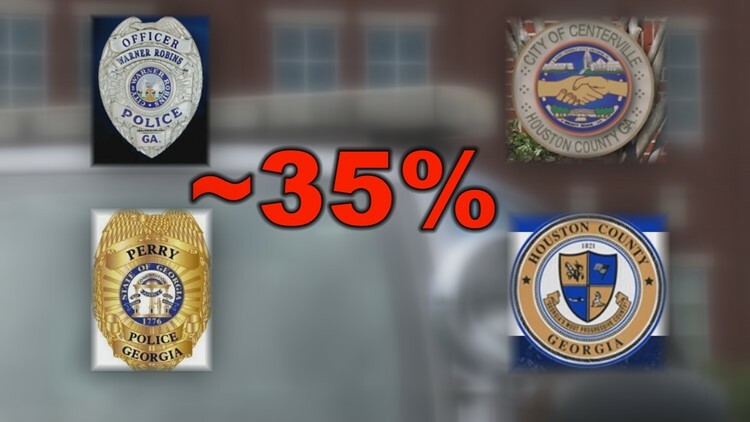 Houston County's other law enforcement agencies have generally followed the same pattern. But when all 911 calls are included in the analysis, the response times look a lot different. Some departments fared better than others. Warner Robins Police Department's overall average response time got about 10 percent slower, while Centerville's got nearly 100 percent slower. In other words, their overall response time nearly doubled. Taken as a group, the 4 county agencies' average response times slowed by about 35 percent between 2010 and 2017. The problem, Hadden said, is that sometimes their manpower is stretched thin. "There are times when my guys are backed up," he said. "We got two or three people on a call. My investigators are shagging calls -- myself, my captain, and lieutenant are shagging calls --and sometimes there are just not enough people to go around." Hadden said when that happens, other agencies help handle the load. But the numbers show that might not always be enough.